We usually know that the holiday season is upon us because right after Thanksgiving all of the Christmas decorations go up. The weather turns colder and we see a lot of people walking around bundled in red coats and hats. In Austin, TX, where there is no nip in the air, no frost on the bough, no snow to crunch underfoot, the Trail of Lights Festival shoulder the responsibility for proclaiming it is beginning to look a lot like Christmas. This is an annual tradition that began in 1964, but unfortunately went dark in 2009 due to a struggling economy and lack of funding. In 2013, the lights were once again turned on and more than 400,000 people walked around and enjoyed the glow of the lights for eight days. This year the festival will run from December 7 through the 21st, it is expected that over 425,000 people will enjoy the festival. In an effort to continue the festival in the years to come, this will be the first time that tickets, shuttle and parking passes for the 50th anniversary-edition will be available for purchase online. In addition to ticket sales, there will also be food and drink sales, food truck vendors and a hospitality area. 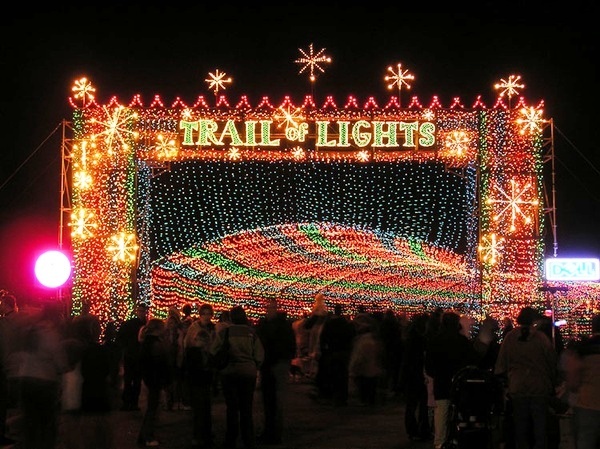 All of these functions need to be connected, so for the second consecutive year, Olea Networks will set up a private network using its interconnected LINCWorks gateways to enable connectivity across the event campus for support of all Trail of Lights personnel. The main result of this is that there will be a secure way of processing portable credit card reader transactions in almost real-time speeds. Olea Networks provides ruggedized, intelligent network infrastructure solutions for simple and efficient deployment of data services anytime, anyplace. Its proprietary technology enables secure, reliable connectivity across a private or public network for instant communication, data reliability and services provisioning. This allows for areas that are poorly served by cellular coverage to quickly and easily deploy an ad hoc cellular, Wi-Fi, or mesh network. Olea’s network will not only be able to support the concession vendors which will be located at one end of the park, it will also maintain secure connectivity for the hospitality area located more than 200 feet away at the other end of the park. It is important to have a flexible, yet robust network such as Olea’s LINCWorks gateways. With the addition of Olea’s EDGEWorks Fog Computing Platform, which enables remote configuration, provisioning, deployment and monitoring of LINCWorks devices, applications installed onto those devices and data aggregated from wireless sensors and distributed networks connected through the LINCWorks devices, Olea becomes an indispensable part of keeping events such as the Austin Trail of Lights running smoothly and efficiently.